Center Distances -C 0.375" to 11.000"
Boston Gear worms and worm gears provide an effective answer for such power transmission applications as high-ratio speed reduction, limited space, right-angle shafts and non-intersecting shafts. When properly applied, they are the smoothest and quietest form of gearing. Steel worms and cast iron or bronze worm gears having throated teeth are available in single or multiple threads, 48 to 3 diametral pitch or up to 85" pitch diameter. 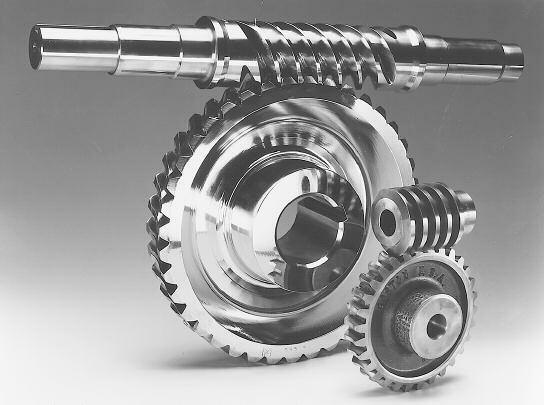 Acetal worms and worm gears are available in 48, 32 and 24 diametral pitches. The efficiency of a worm gear drive depends on the lead angle and number of starts on the worm. The angle generally decreases with increasing ratio and worm pitch diameter. For increased efficiency the ratio should be kept low. 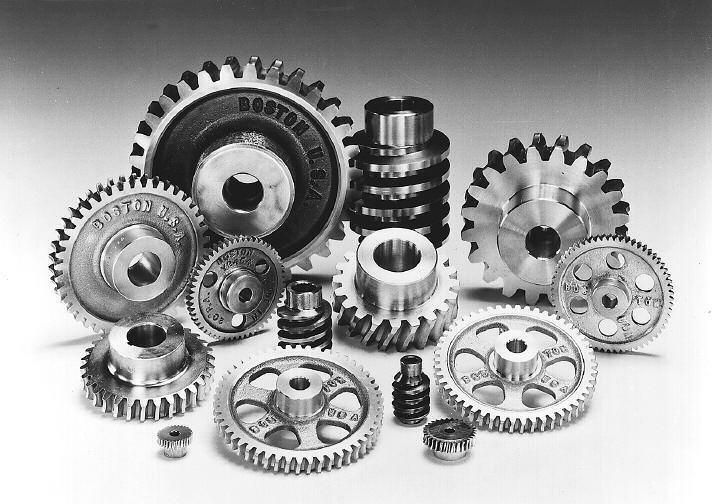 Boston worms and worm gears provide an effective answer for such power transmission applications as high-ratio speed reduction, limited space, right-angle shafts and non-intersecting shafts. When properly applied, they are the smoothest and quietest form of gearing. Steel worms and cast iron or bronze worm gears are available in single, double or quadruple threads, 48 to 3 diametral pitch. Acetal worms and worm gears are available in single thread, 48 to 24 diametral pitch. Hardened, ground and polished steel worms with cast iron gears 50%. Unhardened steel worms with cast iron gears 25%. These ratings are listed at selected worm speeds. Ratings for intermediate speeds can be interpolated from the values indicated. These ratings are based on gears operating with a Service Factor of 1.0, properly mounted in accordance with good design practice and continuously lubricated with a sufficient supply of oil. 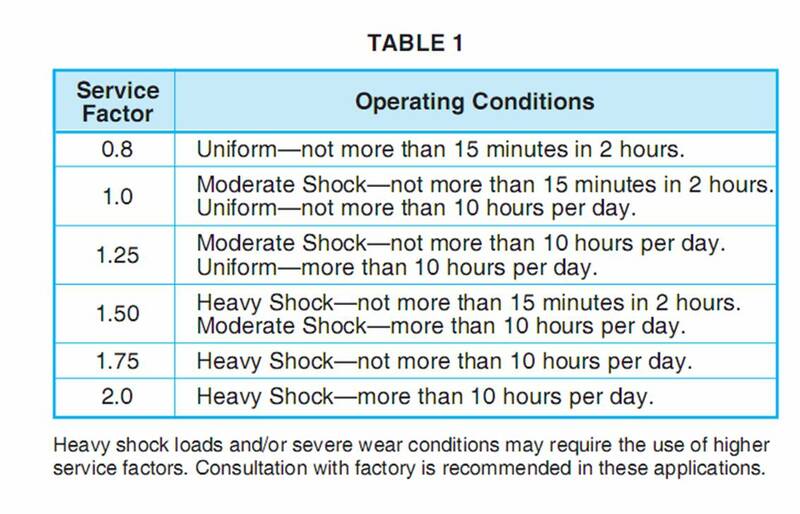 b.With knowledge of operating conditions and load classification, select service factor from Table 1. 3.Select worm gear set with horsepower capacity equal to [or greater than] design horsepower determined in Step 2.